While the title of this story sounds like something you might read on the 'What Does It Mean' website of Sorcha Faal, the main point of this news actually comes to us from Politico Magazine and might help to explain Jade Helm 15 in its entirety. With this story in the New York Magazine telling us that according to a new poll, 44% of Texans believe that the US government will be declaring martial law during Jade Helm 15 while 43% believe that they will be doing gun confiscations across the state, Politico ran a story just days ago telling us that Vladimir Putin has a very special interest in Texas, and he's got a plot in mind to HELP Texas secede. 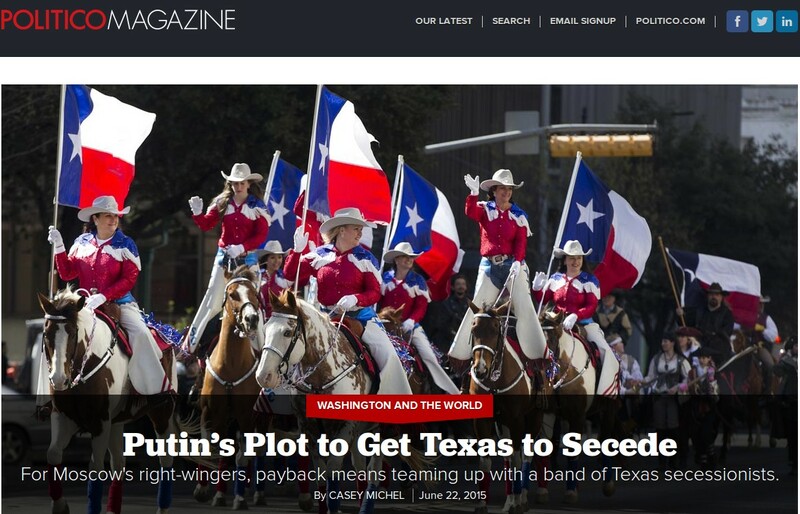 Talk about PAYBACK for the US secretly sending forces into the Ukraine to destabilize one of Russia's closest neighbors, Moscow's right wingers are teaming up with a band of Texas secessionists and if JH15 is any indication, Texans and much of America may soon get their martial law and gun confiscation if Politico's story is correct. The story begins with Nathan Smith, the 'foreign minister' for the Texas Nationalist Movement and a man who tells us that the United States is a dictatorship and that the Texas National Movement has over 250,000 supporters, including ALL Texans currently serving in the US Army who identify themselves as Texans 1st and are being FORCED to stay 'Americans' due to America being a dictatorship. With Texas recently telling the FEDS that they want to take their gold back, we see that Texans blood runs strong throughout the state and it would be the perfect first state to leave the US dictatorship. Hmmmm....California...check...New Mexico...check...Arizona...check...Nevada...check...Utah...check...Colorado...WAS a check before backing out...and Wyoming...hmmm...that's a new one but ANP has seen LOTS of military movement across Wyoming this spring. 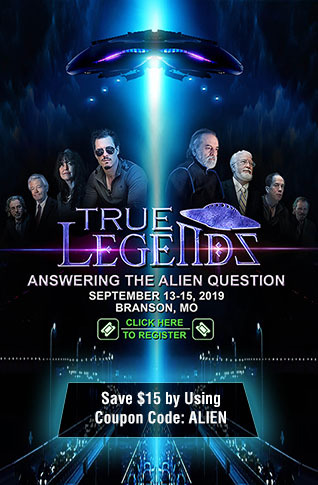 Is JH15 about PREVENTING Russia from assisting 'secessionists' across America or is it more about HELPING the Russians return that land to Mexico as argued in this previous ANP story? Is it JUST a coincidence that the states named by Abdurakhmanov line up almost PERFECTLY with the map above of JH15 as well as the map of the Atzlan territories that Mexico has demanded be returned to them? In fact, only Wyoming is missing.